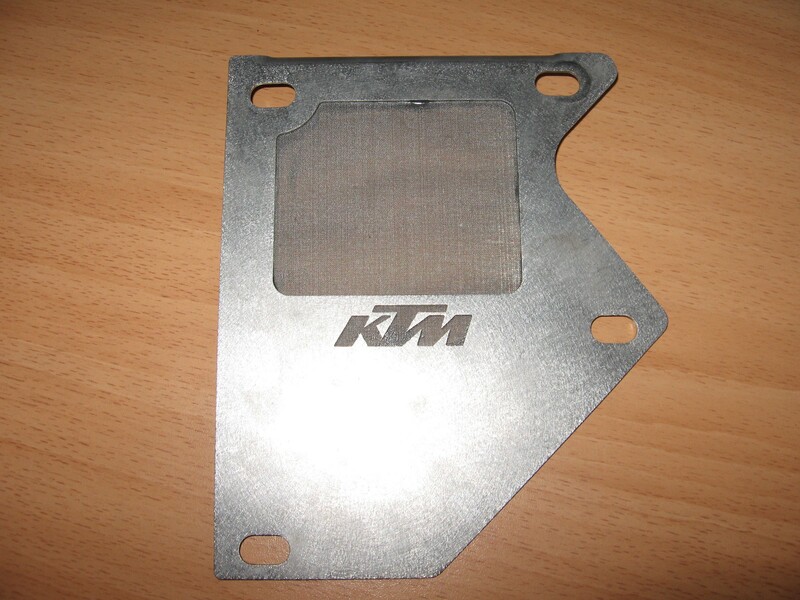 Like I have mentioned in the Preflight check, I had a busted hard parts air filter cover on my KTM, and I had replaced it with a OEM plastic sealed cover. 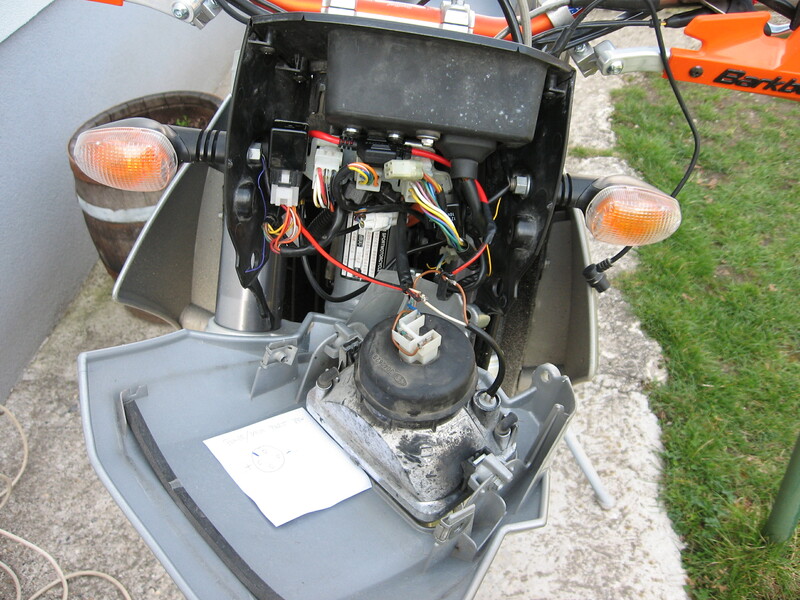 It worked OK but the bike was getting to much fuel and when you opened the throttle quickly, it got flooded. 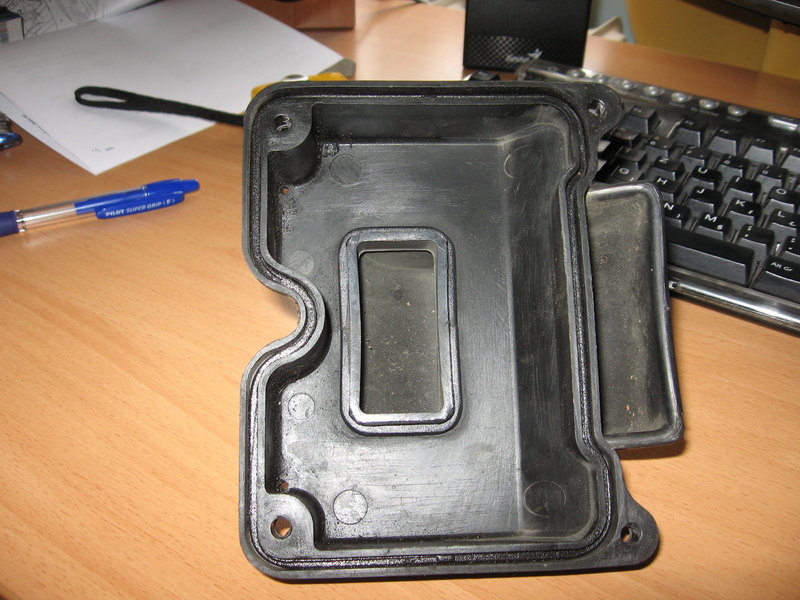 So instead of getting the carbs re-jetted I have decided to fix the mesh on the filter cover. 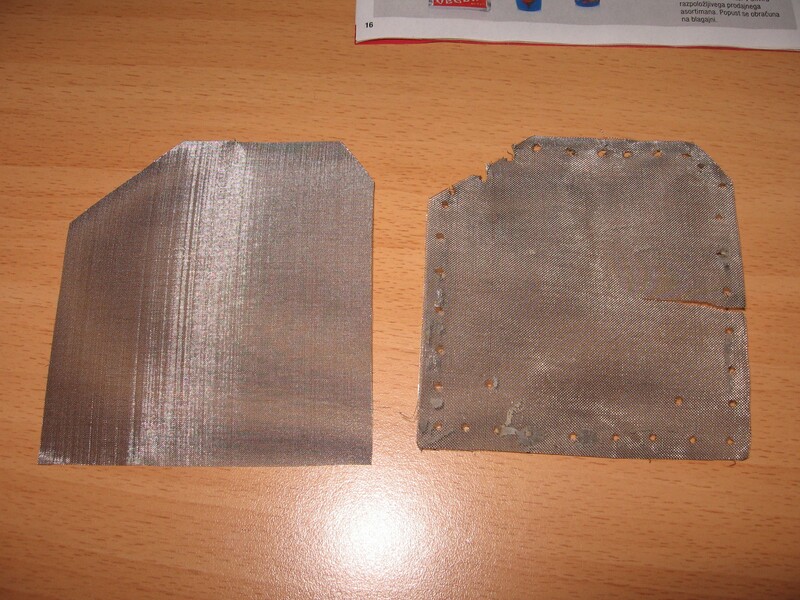 So after getting a suitable mesh, I have been thinking of how should I fix it. 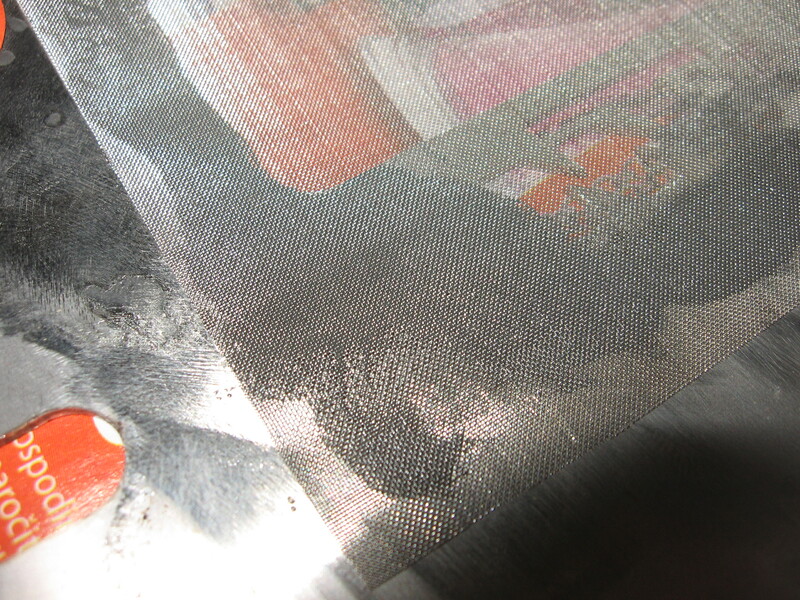 I thought about welding, soldering, drilling&screwing,… None of those options as easy to do with my time frame. So after turning the basement up side down, I found some JB weld and decided to give it a try. New mesh cut to size. 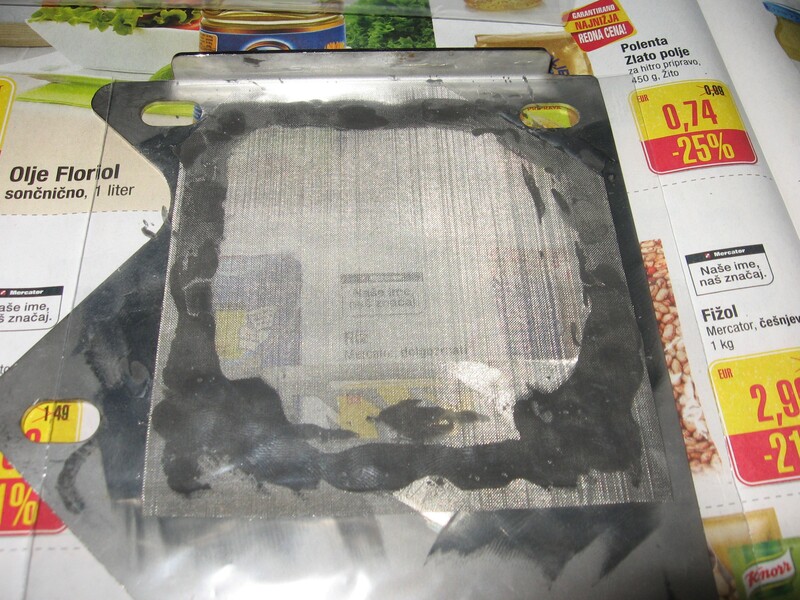 This version of JB weld is supposed to cure for 24h on 20 degrees Celsius or 80min at 80 degrees Celsius. 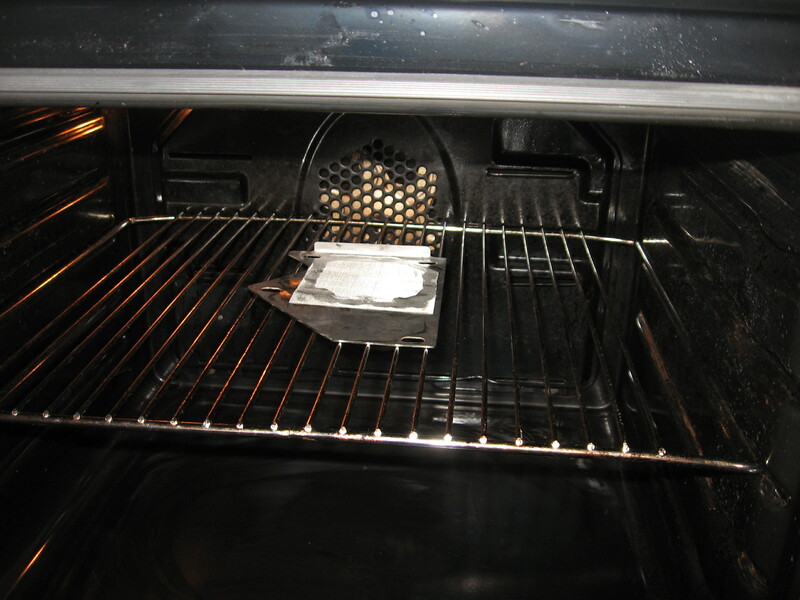 Luckily my mother wasn’t home and I could use her oven. After baking it came out well done and smelling like chicken. Now time will tell how long this will last. 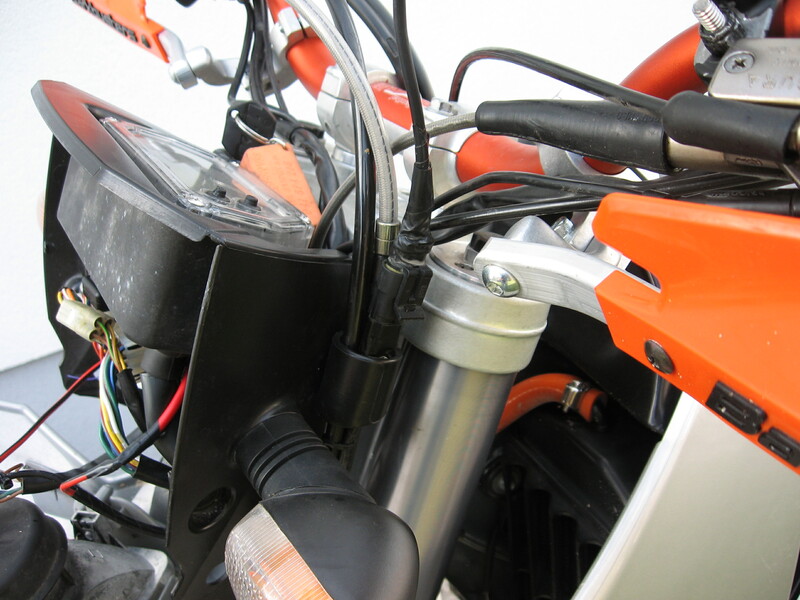 We all know that if you are planing a few day’s long trip, you need to have a power port on your bike. 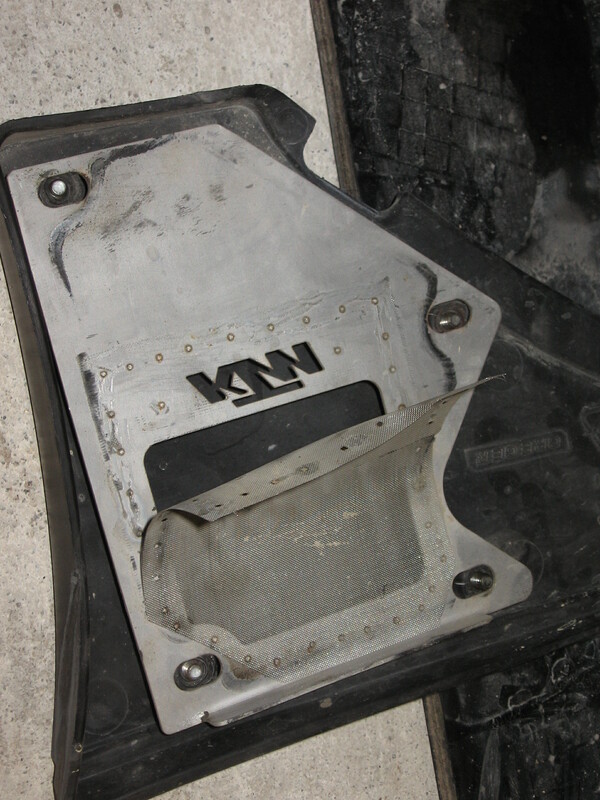 Since power ports are quite large and bulky they take a lot of space, which on KLE can be a problem since ther is not much room. 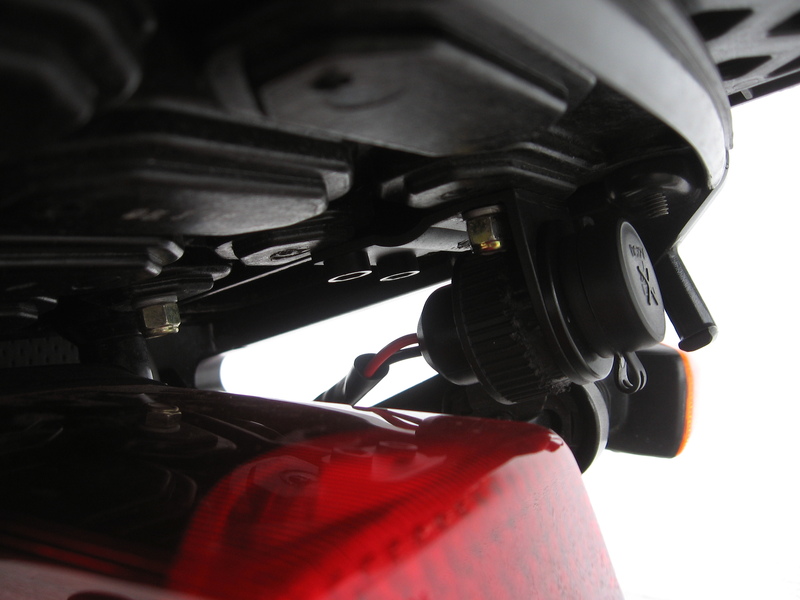 Most power sockets come with handelbar mounting brackets, and KLE handelbars are too small to fit a power port on them. 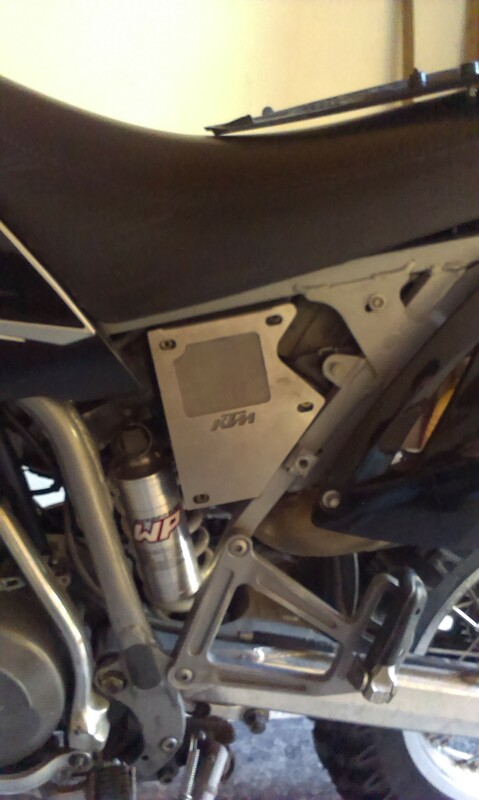 So after some thinking and looking around the bike I have found a nice place to fit it. 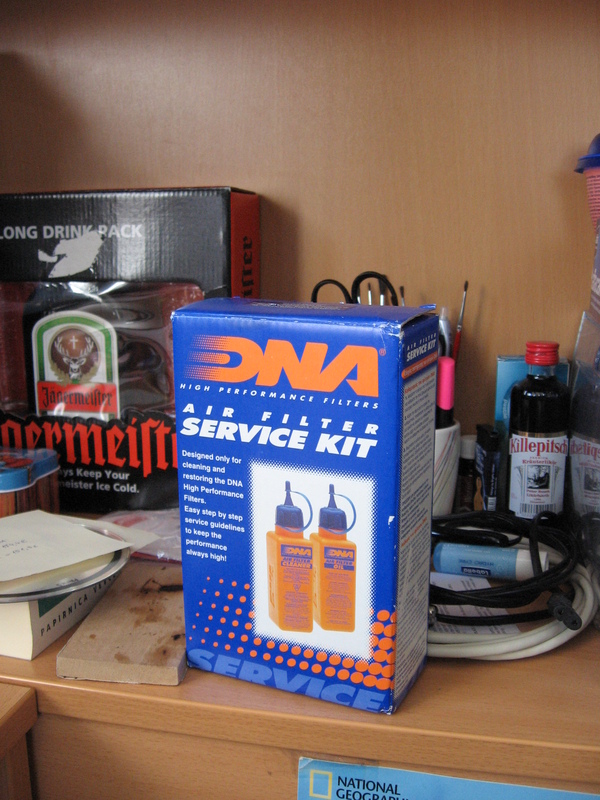 I fitted it under the top case rack. 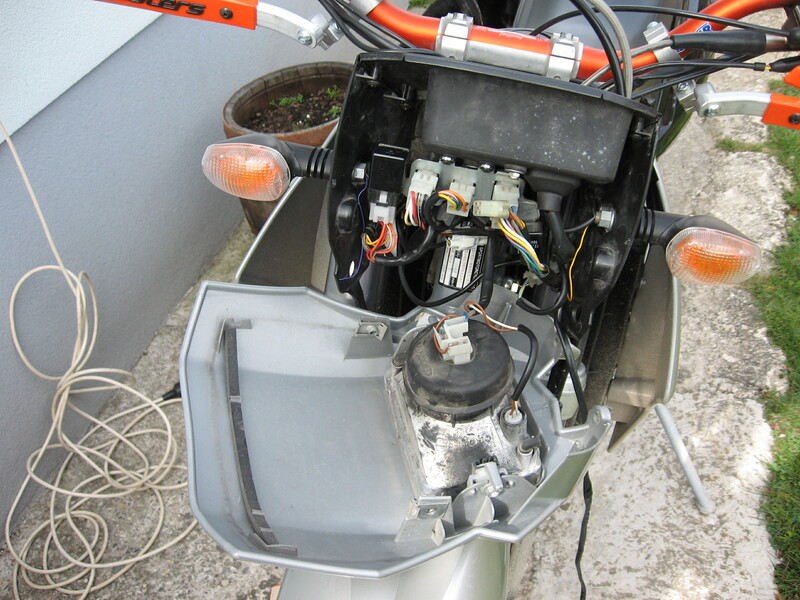 and ran the wires under the seat, down the frame tube to the battery. I have not yet tested it, but will do this weekend. Well it has been a long time since my last post here, been occupied at work and the weather wasn’t to good either. 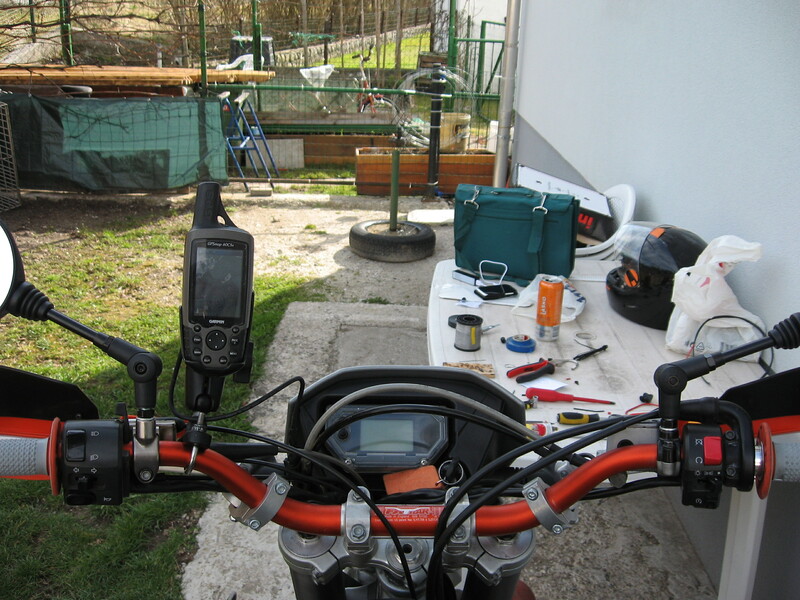 But I had a few hours to do some wrenching on the bike. 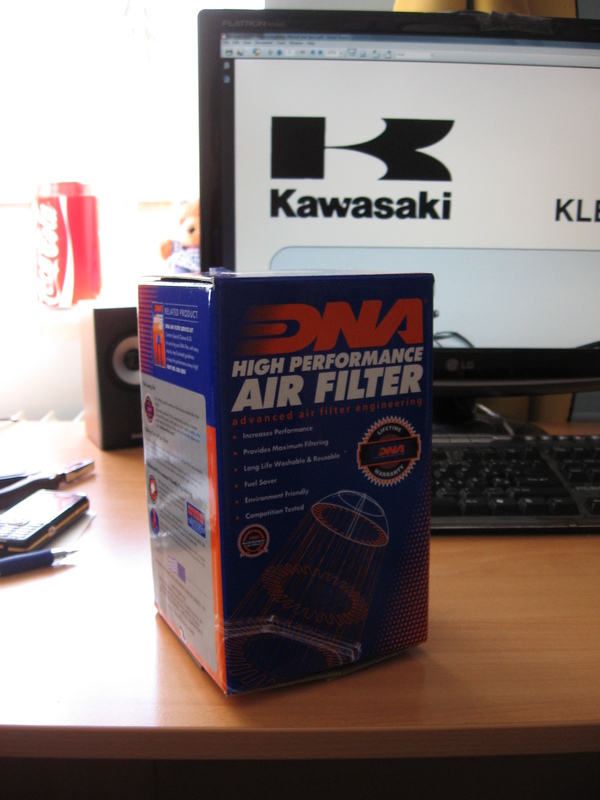 I have ordered a DNA high flow air filter for my bike. I got it directly from the factory in Greece, took 6 days to arrive via UPS. 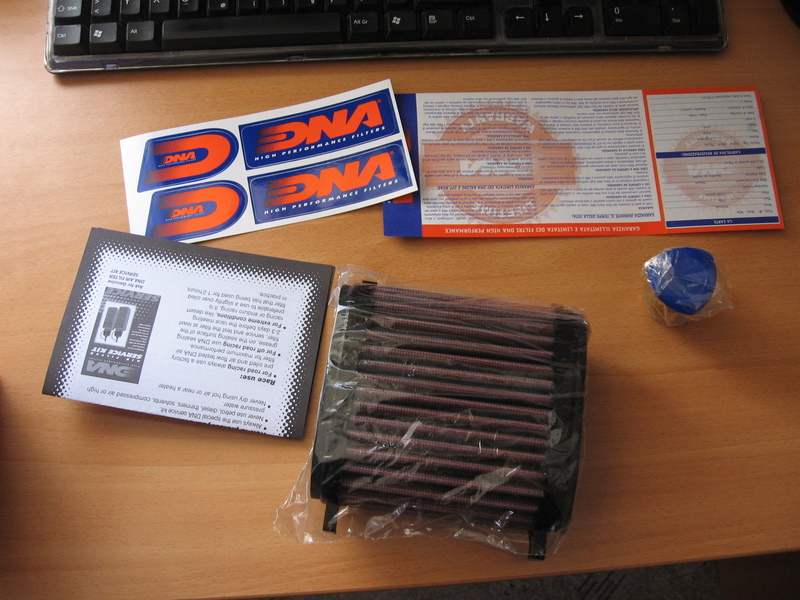 Here is the link to the filter, I also got a service kit for it but it’s not necessary to buy it when you buy the filter as it comes pre-oiled(it should last from 10.000 to 25.000km before servicing, depending on ridding conditions) and ready to install on the bike. 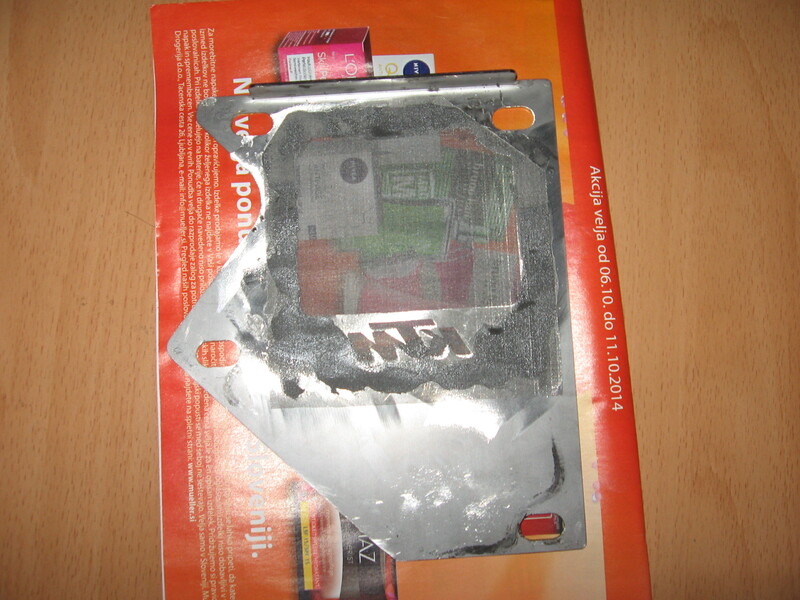 Total cost for it was 73€ with service kit and postage. 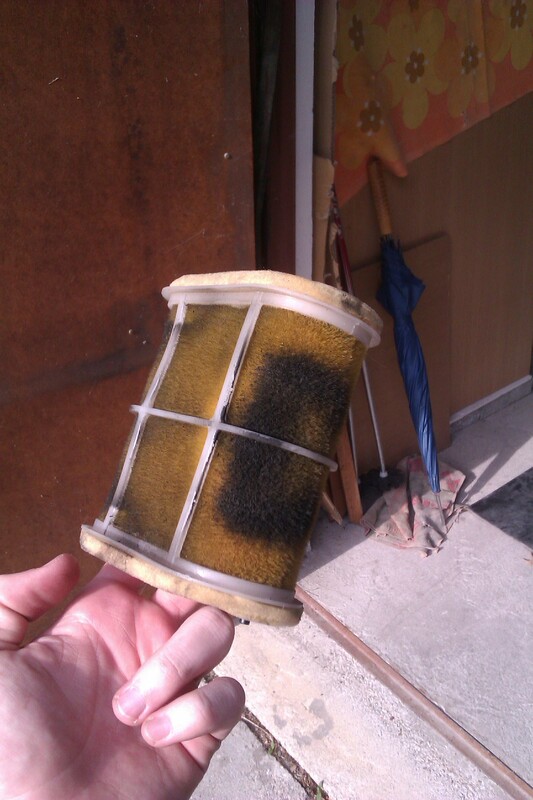 So the old filter was dirty, but it was still the original filter and the bike had 30.000km on the clock. 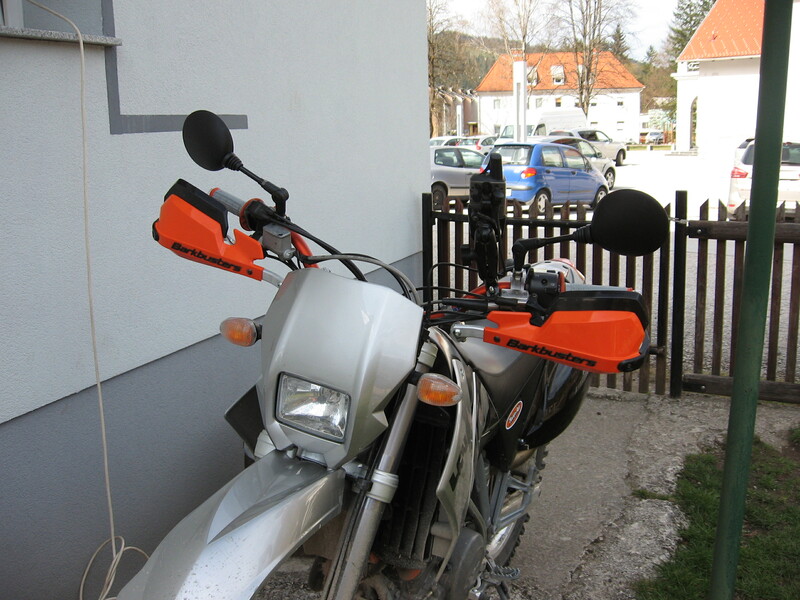 After butting in a new filter I have also change the intake snorkel. I got my hands on a 1992 model snorkel that has a bigger intake pipe. More air = more power… Well not in this case. With this snorkel on the bike got to much air and ran lean. 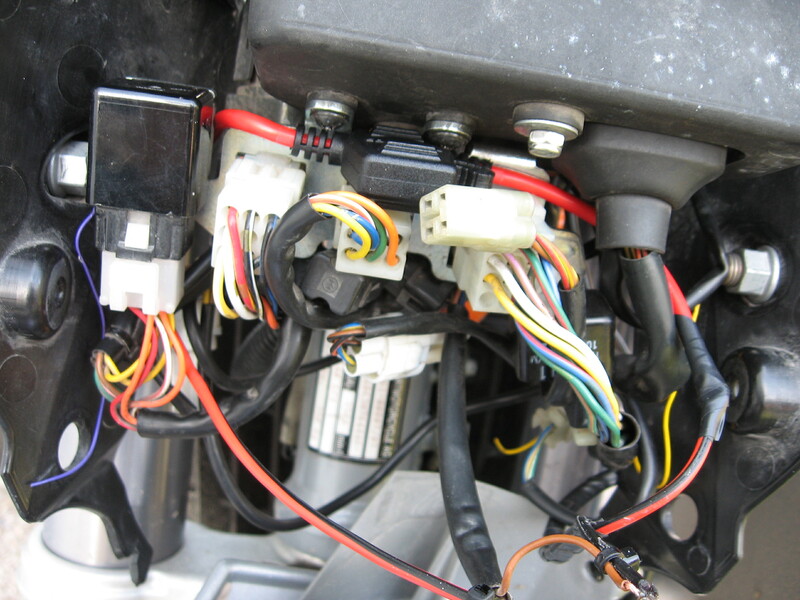 To run propperly I would have to change jets and needels(there were a few things that I liked while running lean: ran smoother, less vibrations on low revs,… but running lead didn’t produce enough power and you can seriousely damage the engine if you run it lean). So I went back to the stock one. 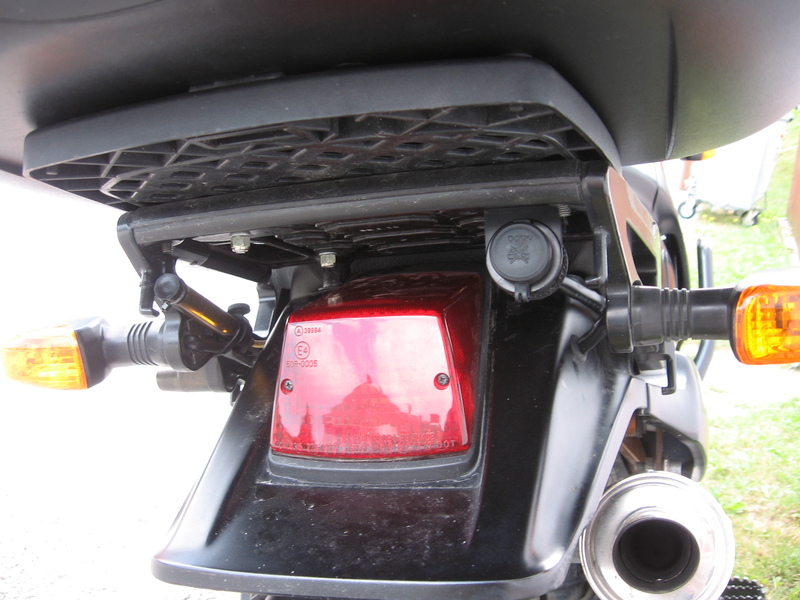 With the DNA filter installed, bike ran smoother, it revs up a lot smoother and it got better throttle response, Fuel consumption also got better.